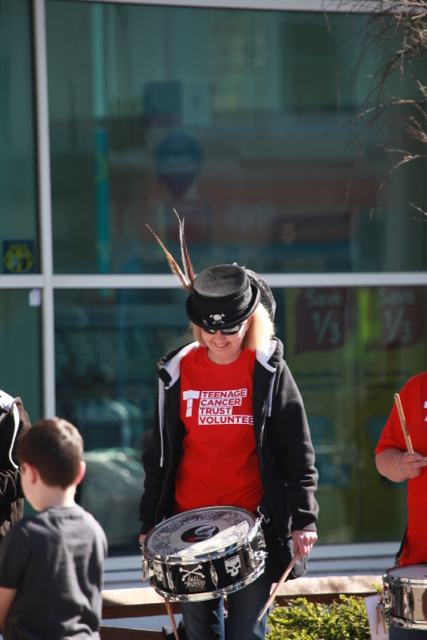 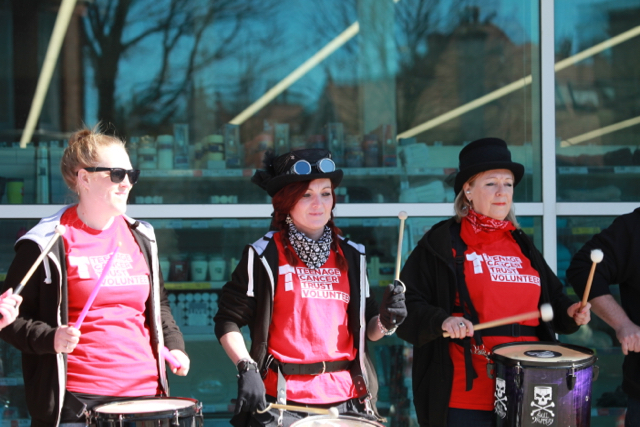 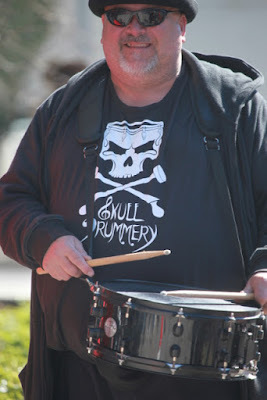 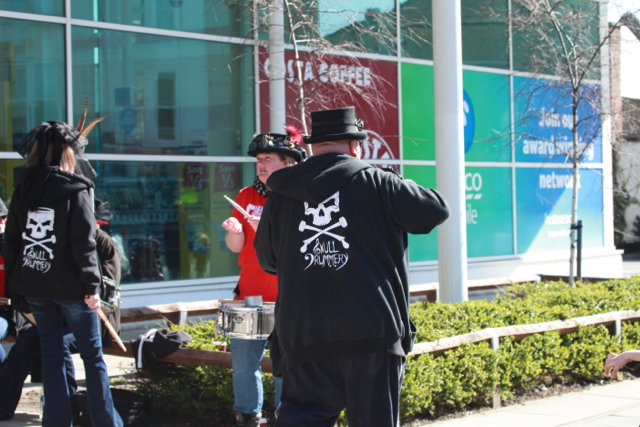 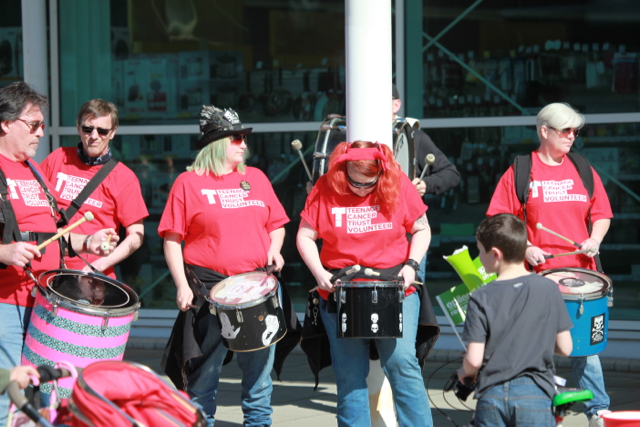 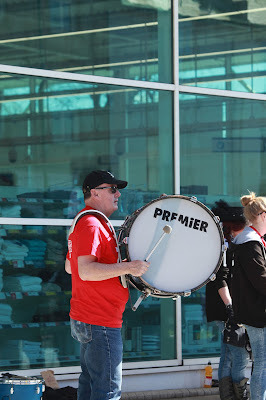 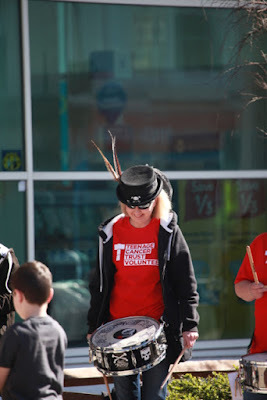 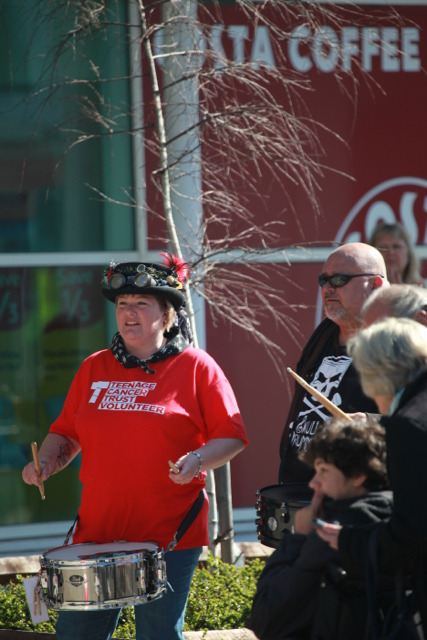 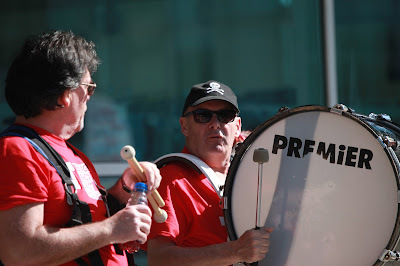 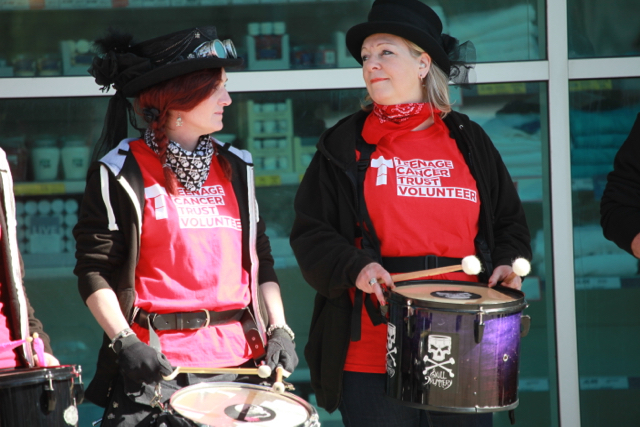 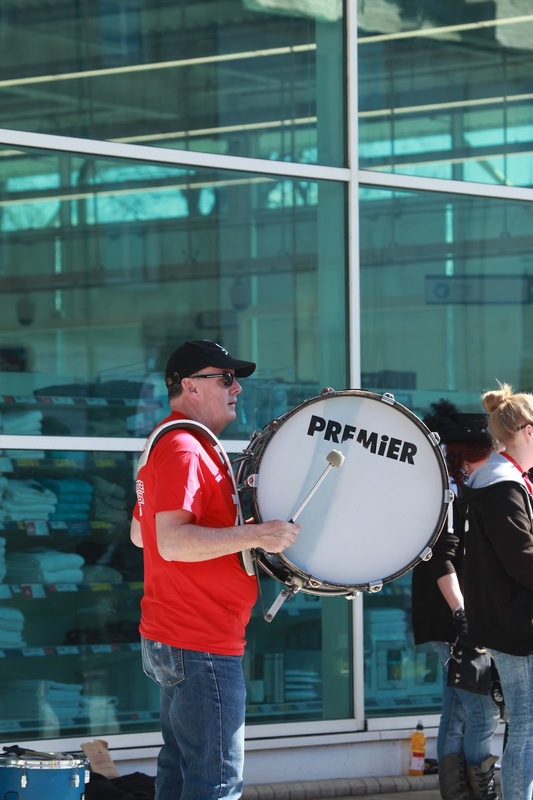 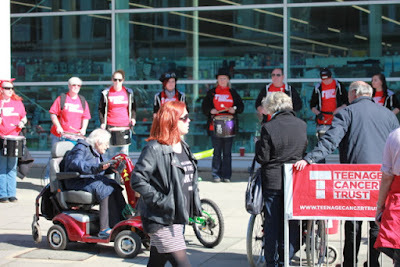 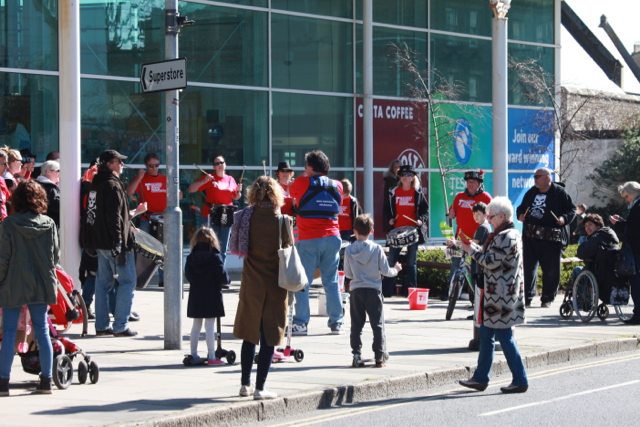 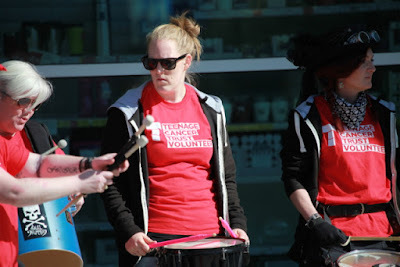 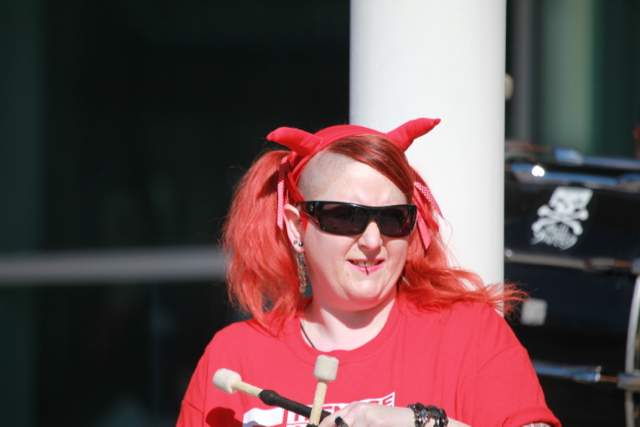 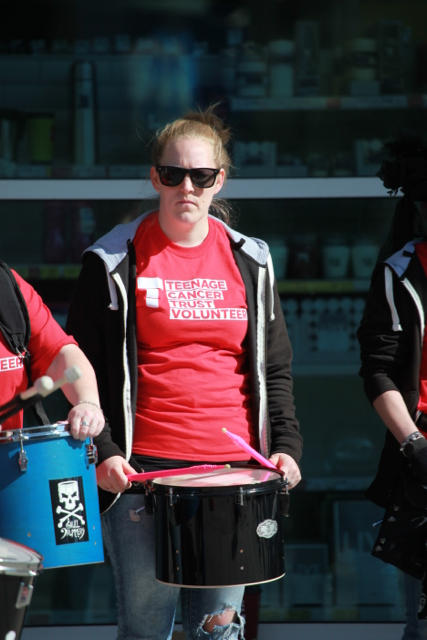 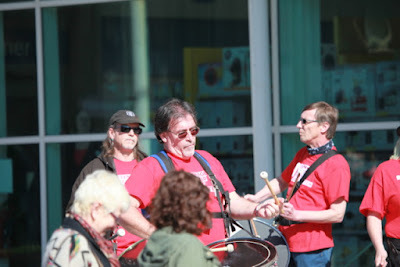 Yesterday at the Brighton Marathon, Lewes based Skull Drummery played just in front of Tesco in Hove. "The acoustics are great here," said their leader. 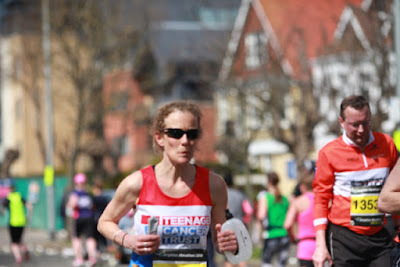 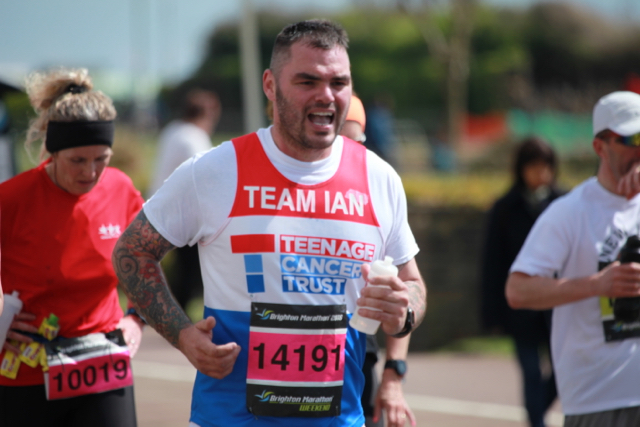 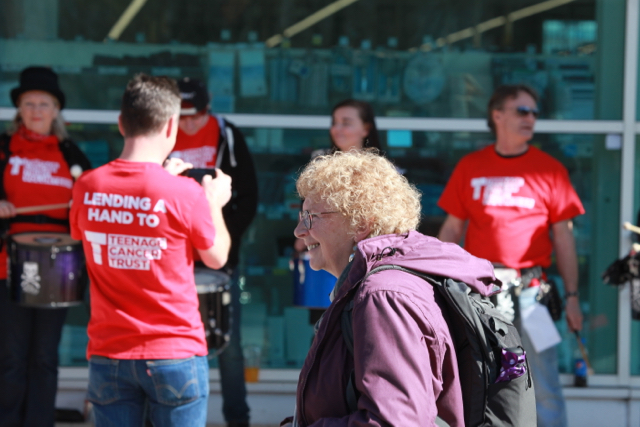 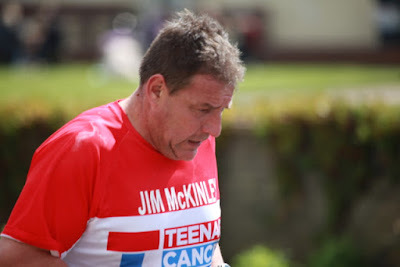 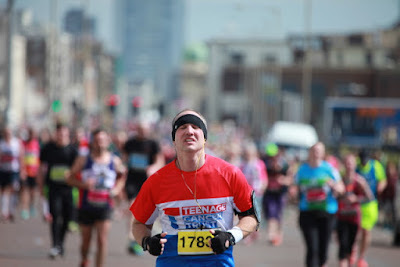 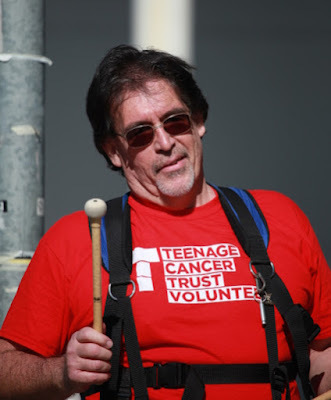 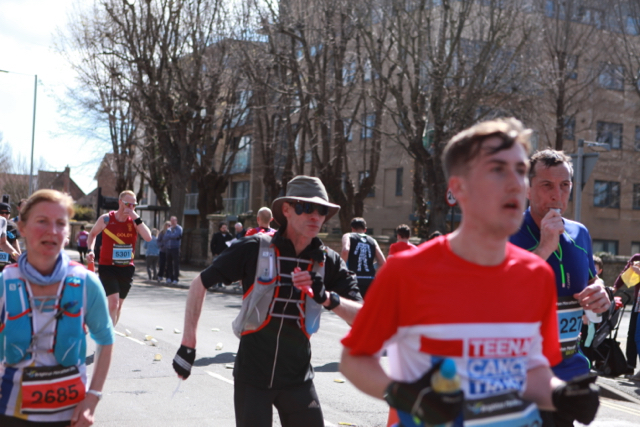 "This is our sixth year playing here for Teenage Cancer during the marathon. I'm a great Who fan and I think rock came of age when they started supporting very worthwhile causes. 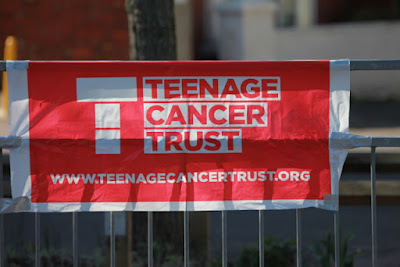 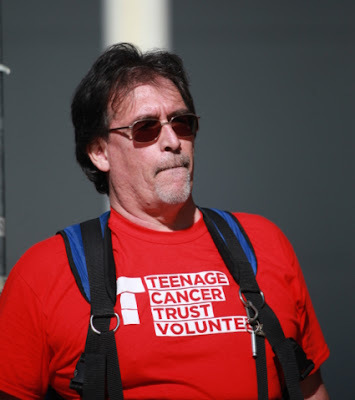 Roger Daltrey is very supportive of Teenage Cancer Trust." Daltry is one of the Honorary Patrons of the Trust.